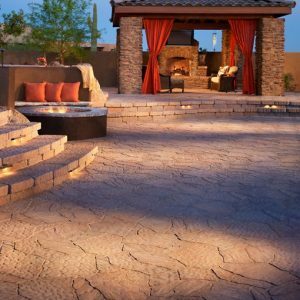 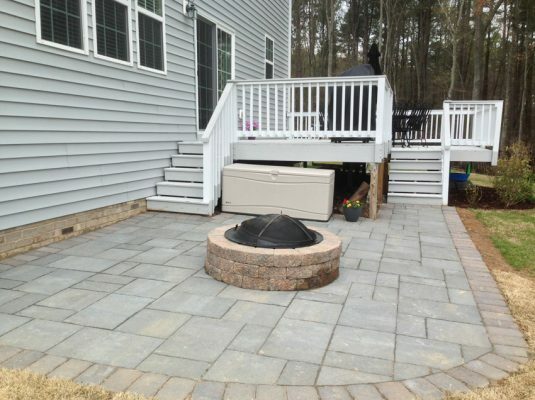 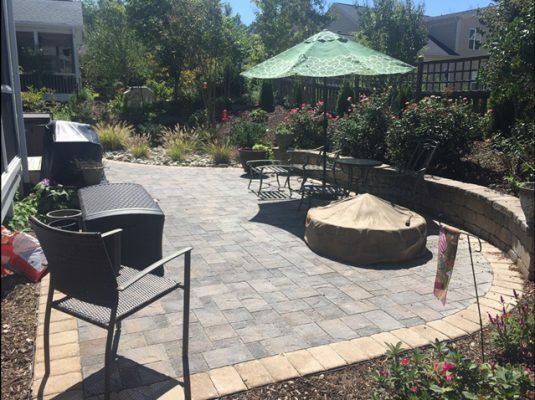 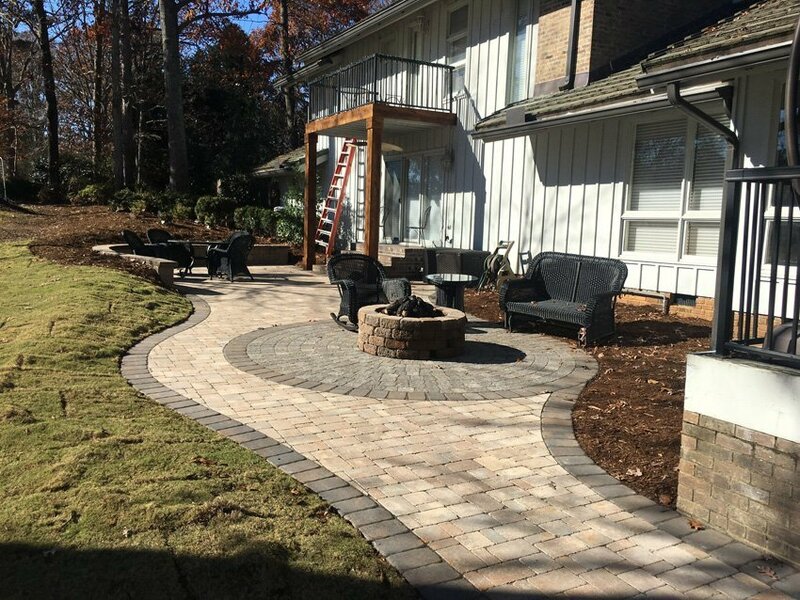 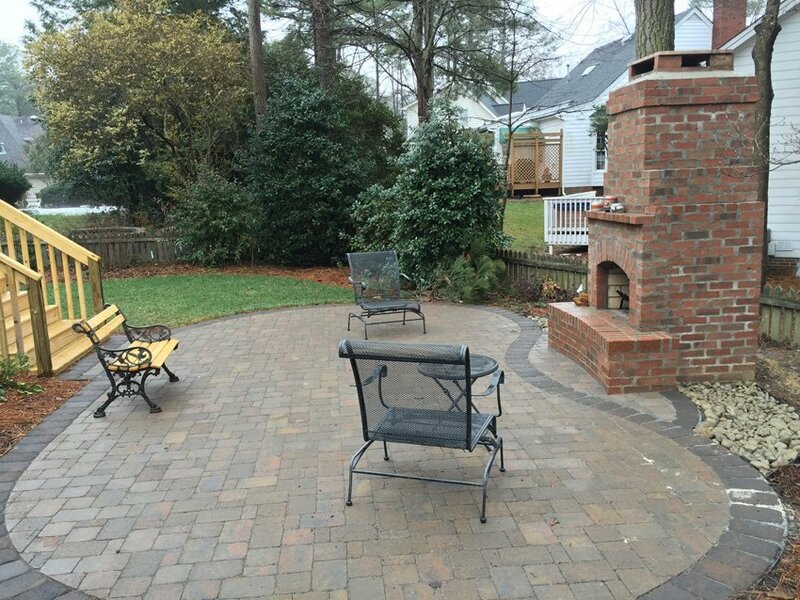 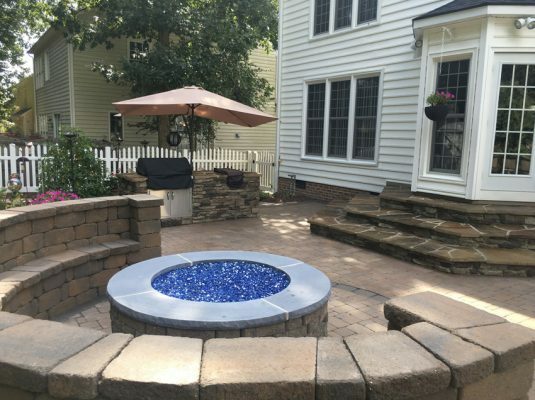 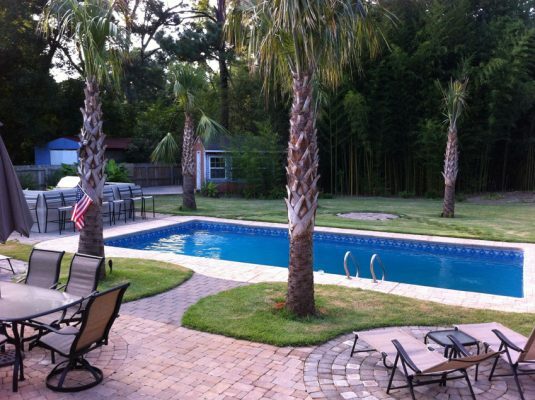 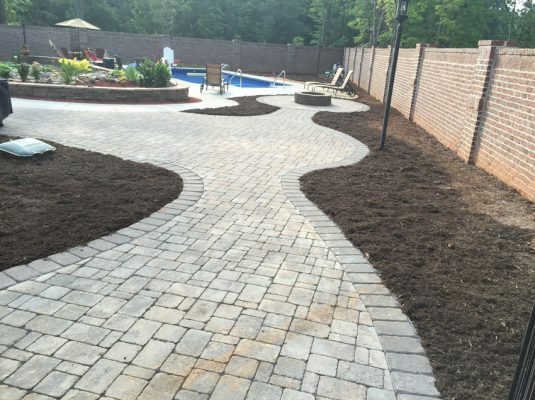 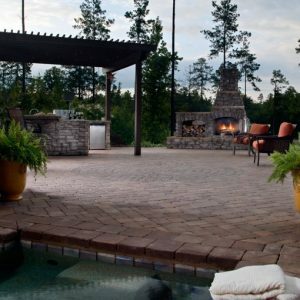 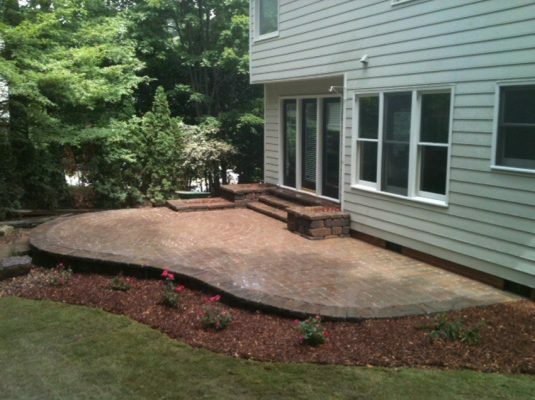 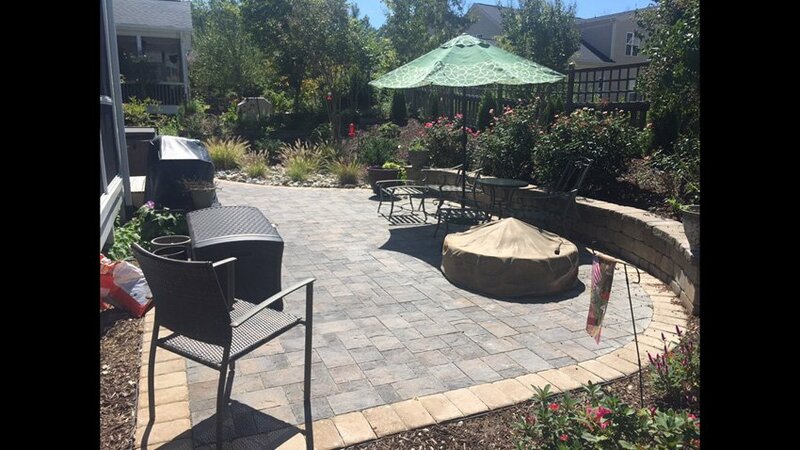 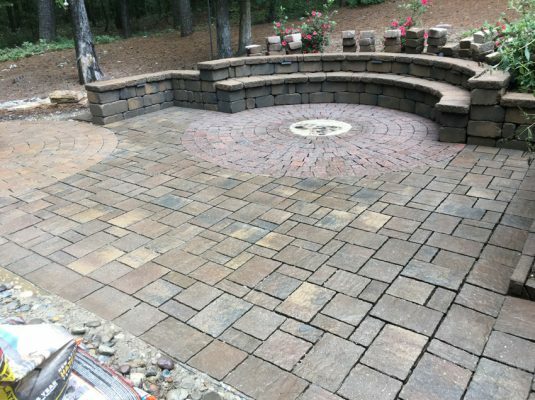 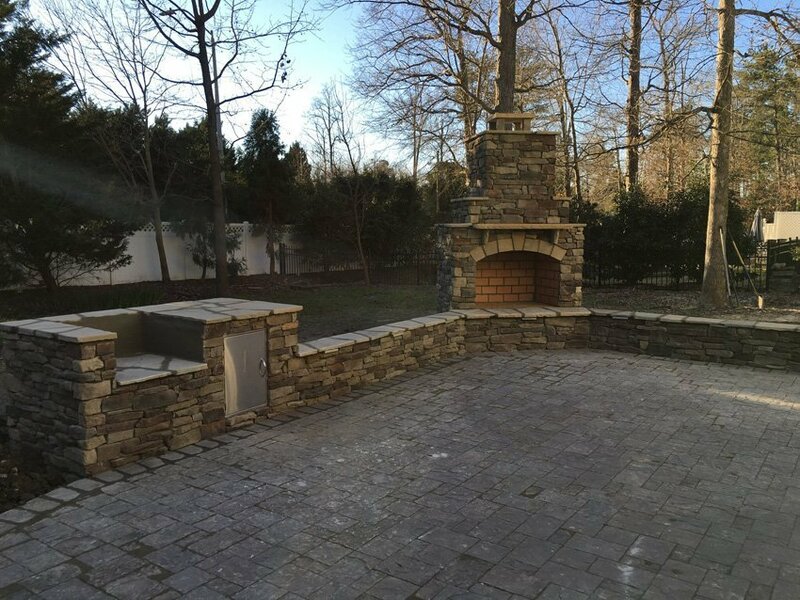 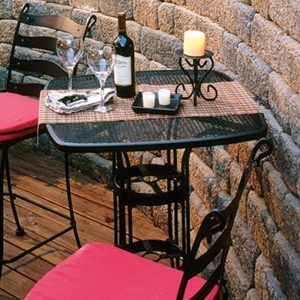 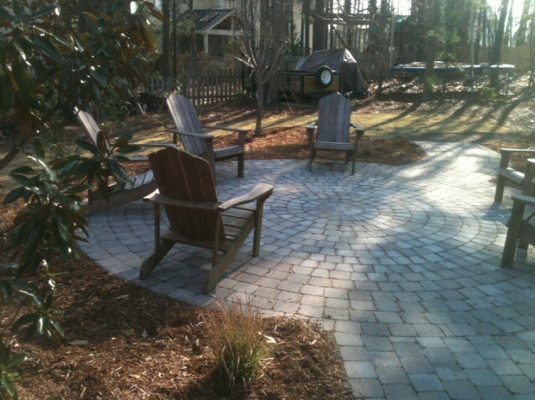 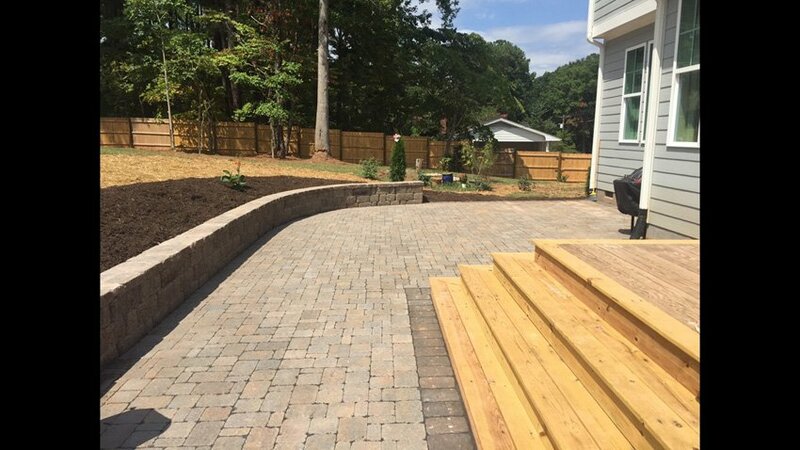 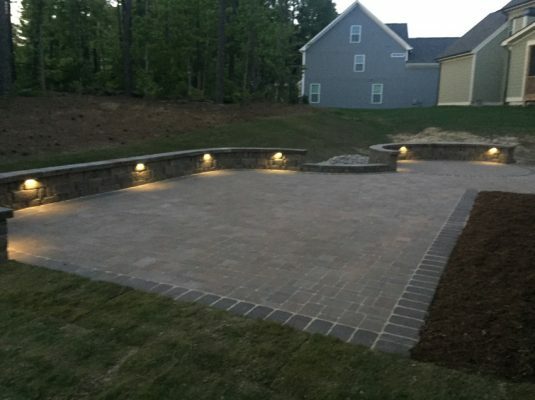 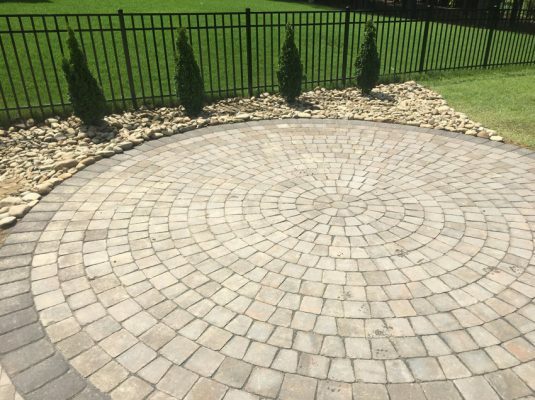 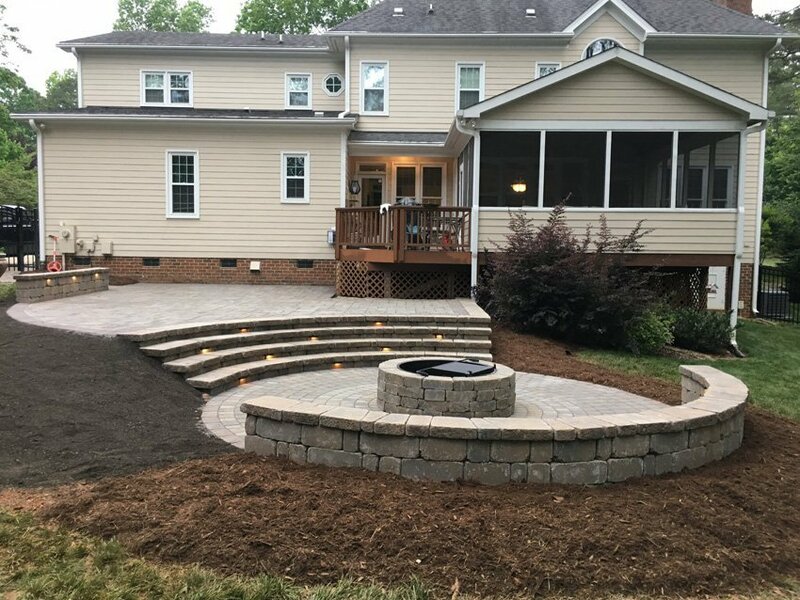 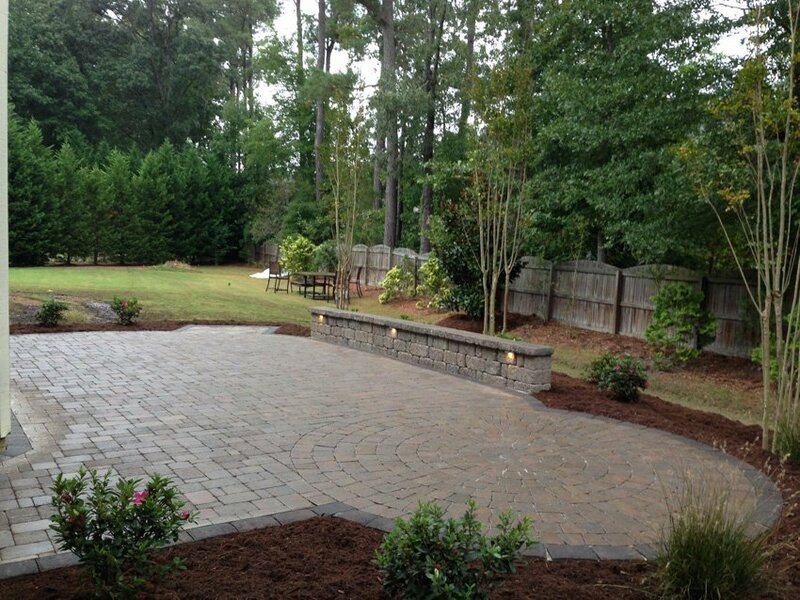 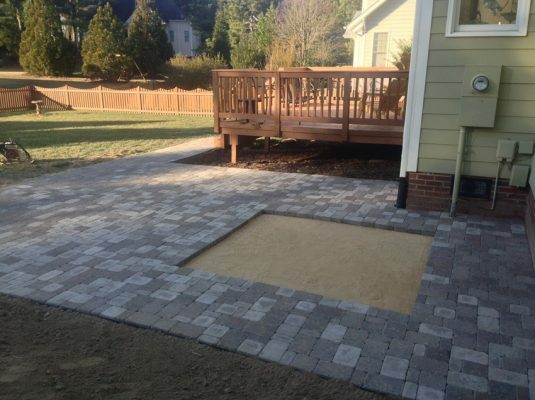 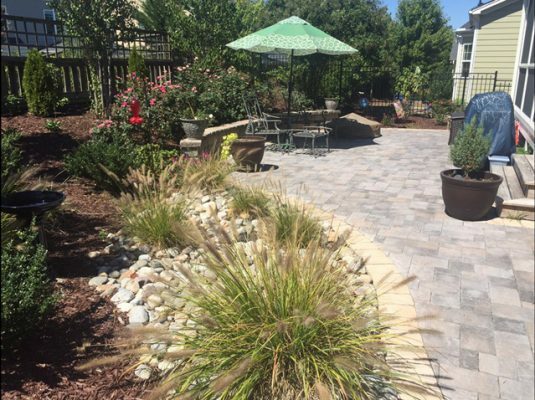 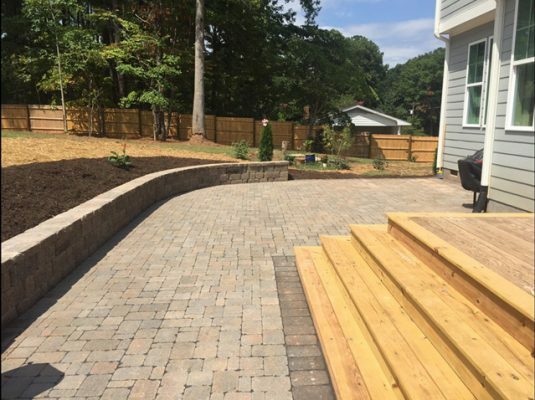 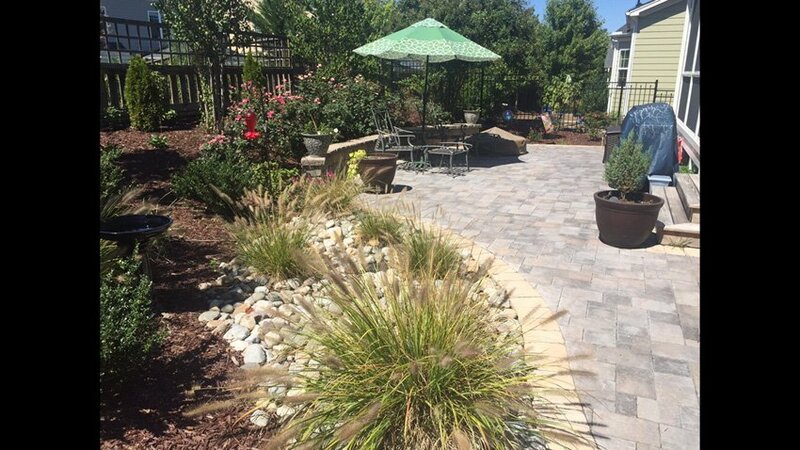 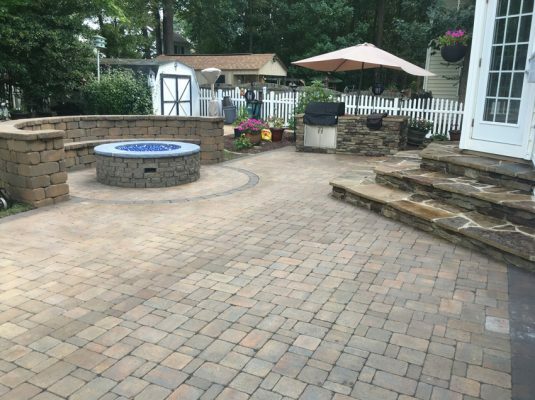 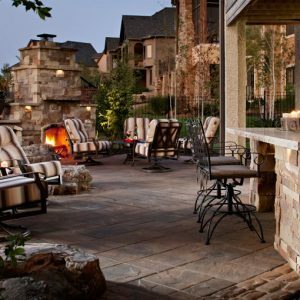 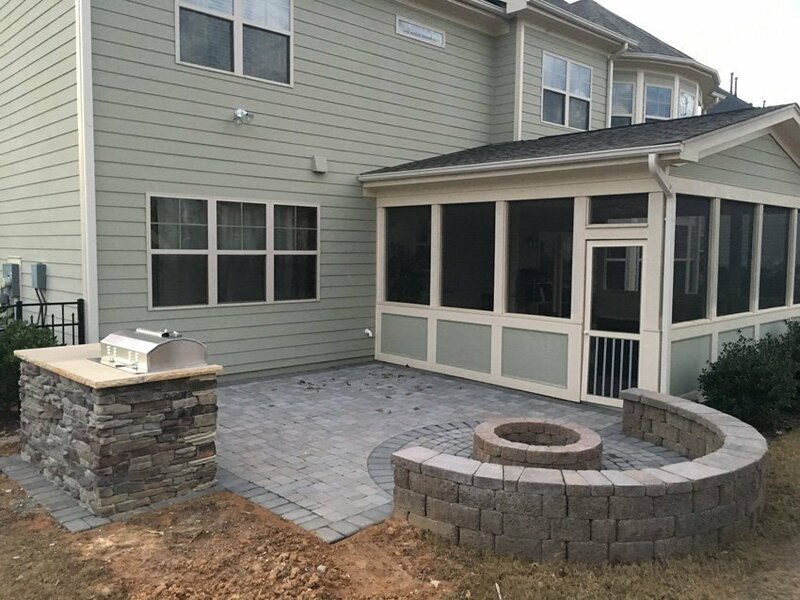 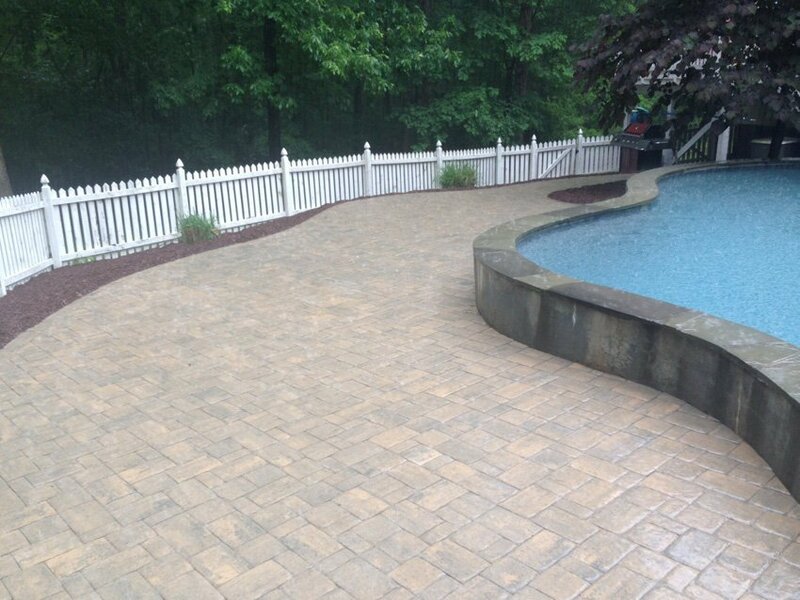 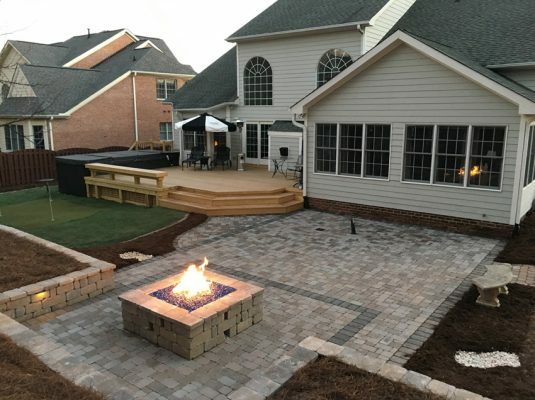 Custom Patios | Cary Landscape Inc. Define your outdoor space with a patio and bring symmetry between the house and garden with hard elements. Give your landscape distinction with pavers, hardscape’s and outdoor structures. 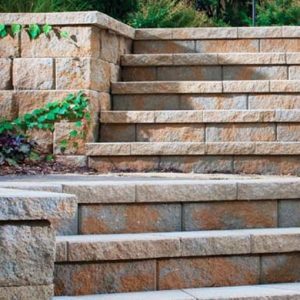 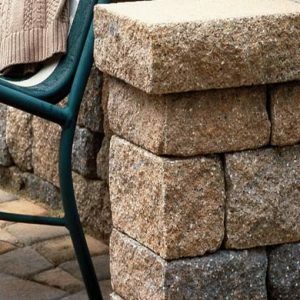 When designed with vision and style, hardscape’s create functionality while beautifying the architecture of your home into the outdoor environment. 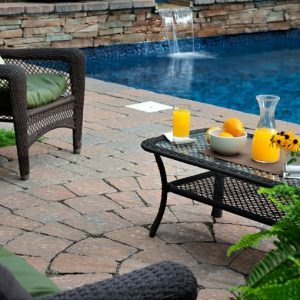 Concrete patio installations, although functional, crack and crumble over time and have may have to be completely replaced. 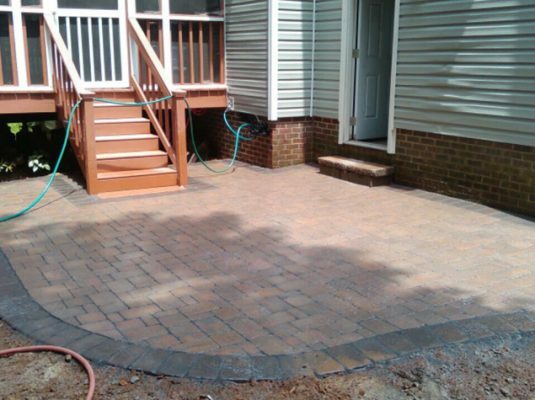 One way to reduce the expense of a complete overhaul is with the use of stone patio pavers. 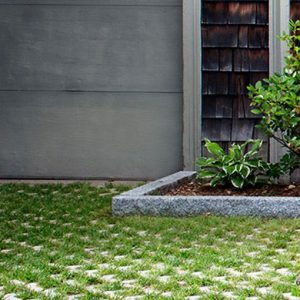 As root systems grow in your yard they can sometimes raise and crack concrete. 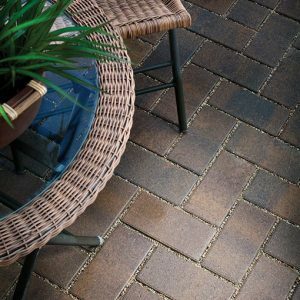 With stone patio pavers it is a simple job to pull up the paver to recondition the base and reapply the paver. 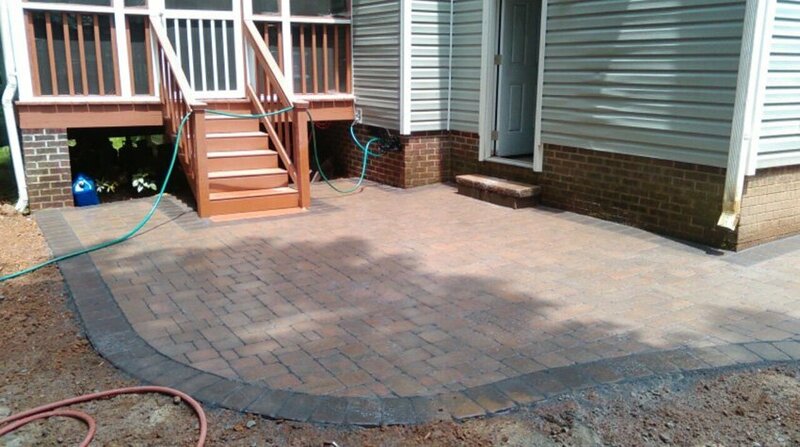 This saves you from the cost of a complete remodel of your patio. 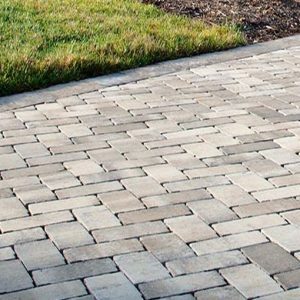 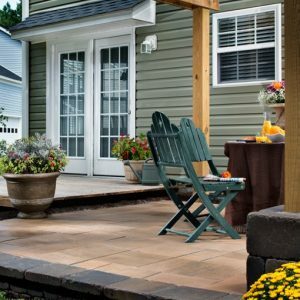 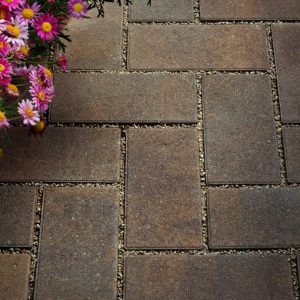 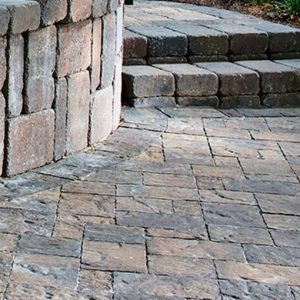 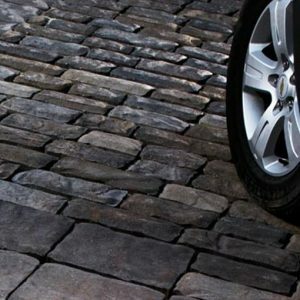 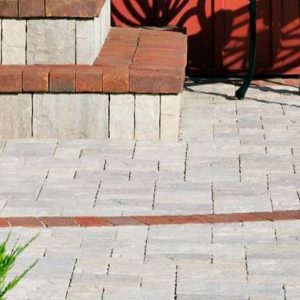 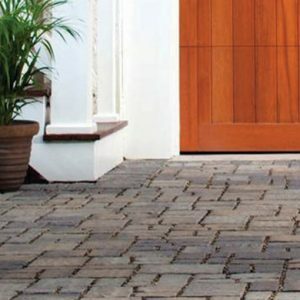 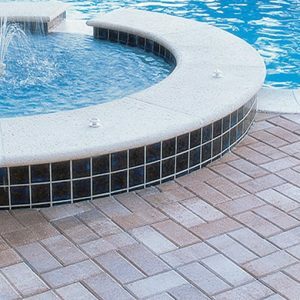 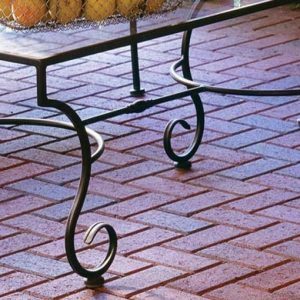 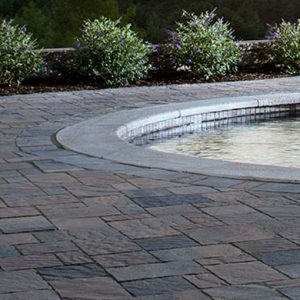 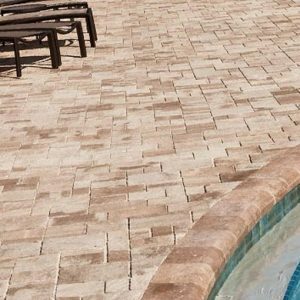 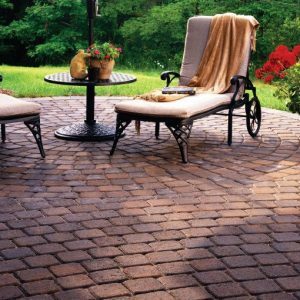 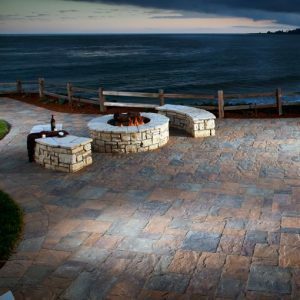 Pavers are used to give you the patio that will not only look good but be functional throughout the life of your home. 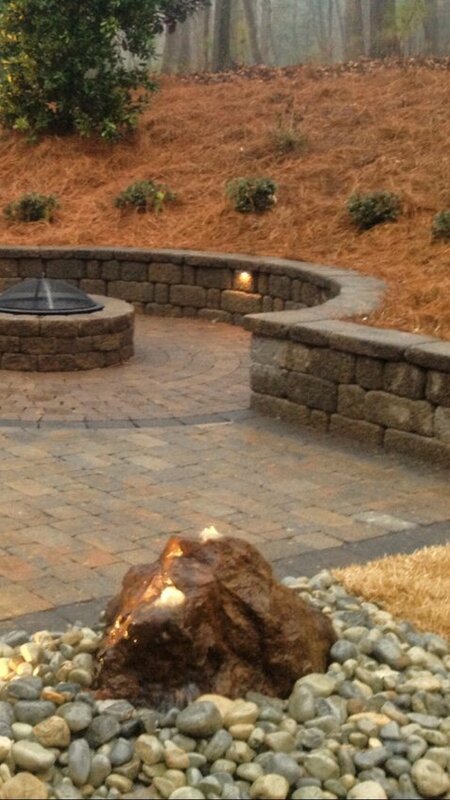 Each unique design uses color, texture and dimension to bring one-of-a-kind elegance to the finished project. 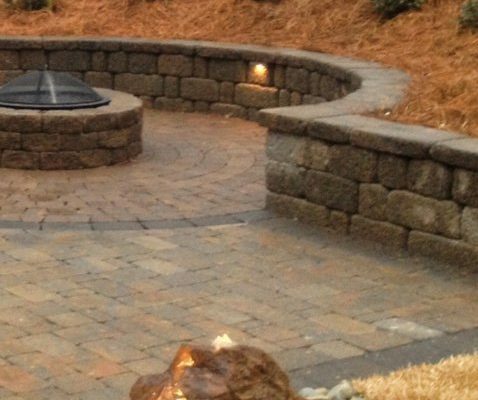 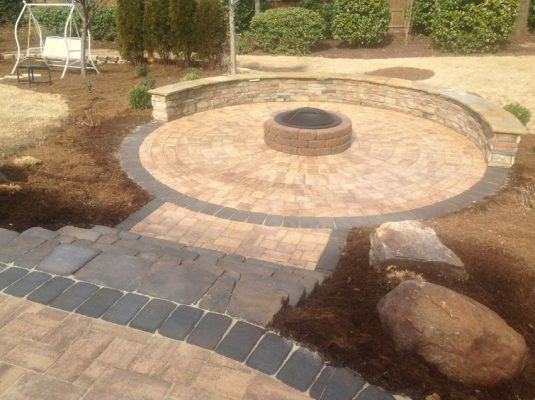 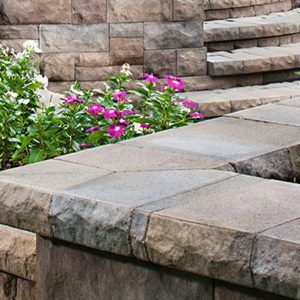 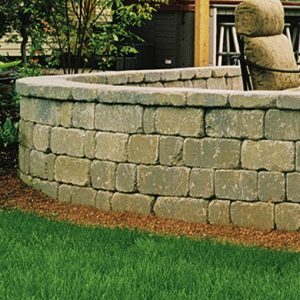 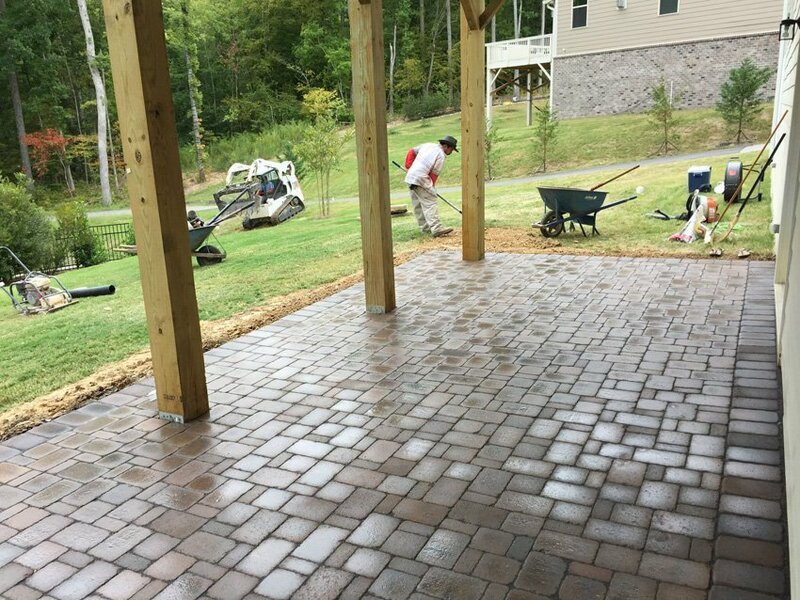 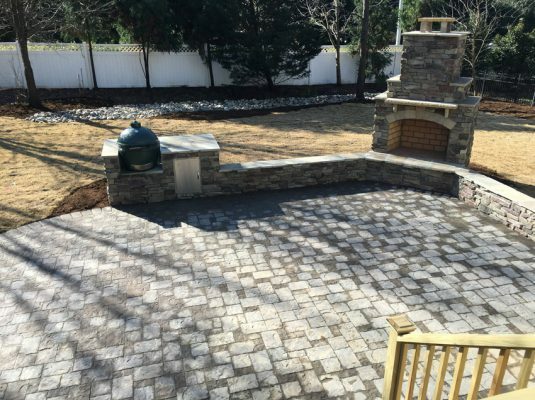 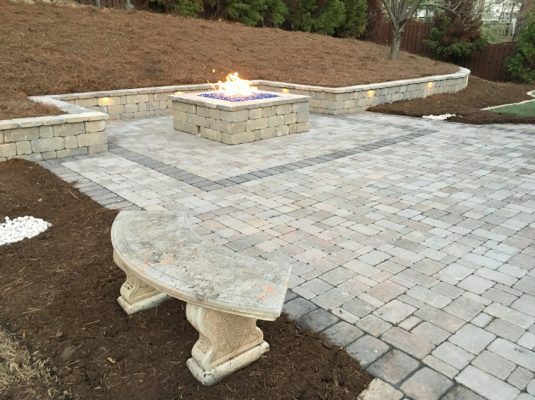 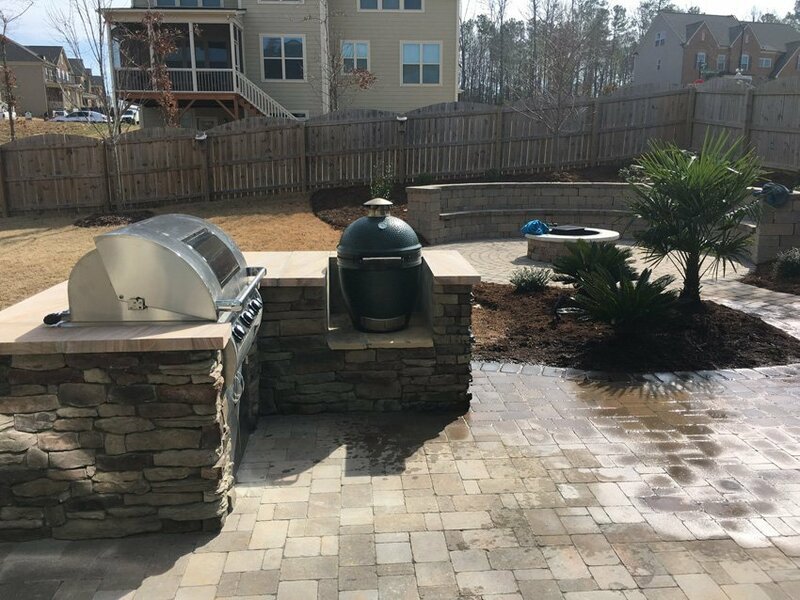 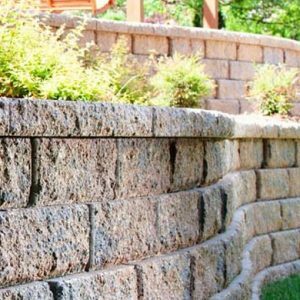 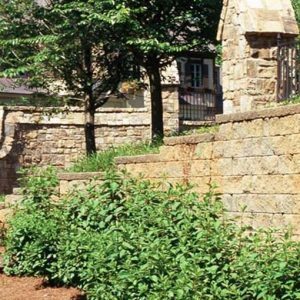 Our crews have hands-on experience installing concrete – stonewalls, patios, paved pathways, flagstone and boulders.